First time in NY and I didn't regret: they make the best pizza in town, as authentic as the pizzas I ate in Italy. The weather was good and I stayed outside in the sidewalk. Perfect! 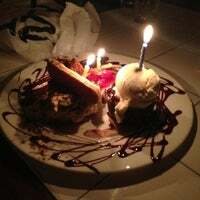 had birthday dinner here and loved it!! beautiful decor, great atmosphere and awesome service. handled a group of 17 on a Friday night, no problem. excellent food!! 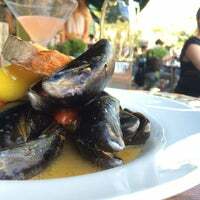 Great outside cafe to enjoy a pizza, glass of wine, and salad or dessert. 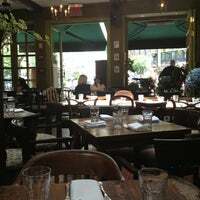 Recommend: Margherita pizza (tip.. Add artichokes) and the Caprese Salad. Súper romántico y encandor! Y lo mejor la atención del personal, están siempre atentos pero no hostigante.Excelente comida italiana y no dejen de probar la pizza tartufata amazing!!! Wasn't super fond of the place, though the atmosphere is beautiful (many flowers). But last night I indulged in the Nutella pizza dessert, and - wow! One of the top 5 best Italian pizza in town, if it's your first time here you should start with a Margherita Extra (with mozzarella di bufala) + Peroni or Moretti beer. Haters never had a real pizza. Great seating, decent food at decent prices. But some of their dishes fk with the classics. Why put soggy chunks of zucchini in a linguine vongole? Come for the amazing ambiance and HH half price bottles of wine (including proseccco). Prepare to be unimpressed by the expensive pastas. Awesome Italian restaurant. The panini with pesto, mozzarella and prosciutto was amazing!! And so was the pizza. My presto chicken with roasted potatos and arugala was delish! 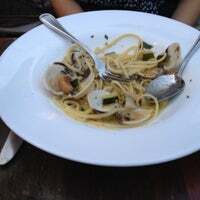 My friend's linguini w/ clams was tasty but really small portion. Save your money and don't get the pizza! Good cocktails - do them! This is the place to go for a late night authentic roman pizza fix, open until 2am Thurs-Sun. 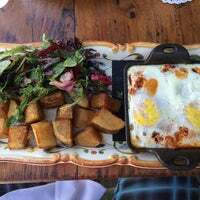 Want pizza for brunch…they have that too! Romantic atmosphere is better for couples than groups! The pasta was so fresh and sized moderately. The constant opening and shutting of the door made it uncomfortably cold in the winter though! Delicious pizza & toppings! Great place to visit in the spring and summer with their outdoor seating. 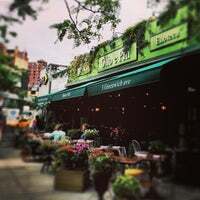 Nothing beats a table out on the pavement on a warm spring evening, drinking good wine with yummy pizza, watching the world go by. Olio Pizza e Piú has your requisite Margheritas and diavolos, but it’s also serving up unique pies like the Vesuvio: a slice stuffed with smoked mozzarella, pumpkin cream and imported speck. 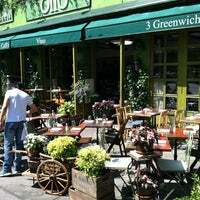 Nice hip cafe/restaurant with delicious salads. Great to sit out on a warm night. A chop shop that thrives on heavy foot traffic. Outside looks like the set of Sesame Street. Staff is more interested in turning tables than devoting attention to diners. Food's ok. You can do better. Excellent neighborhood staple. Good food and friendly service. Try the pizza. Good for groups--they take reservations. When the weather is good, it's a great open air restaurant to visit. Pizzas are pretty decent, prices are very reasonable. 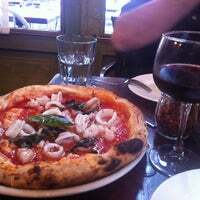 Love the cosy athmosphere and the pizzas are some of the best of NY, can really recommend it to everyone!! Adorable restaurant, with great pizza. 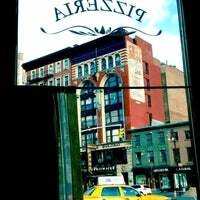 They open the doors when it's nice out - make sure you get a table outside or by the windows! Great food!!! Try & sit outside and definitely ask for Abigail Brosh to be your server! She was AWSOME!!! 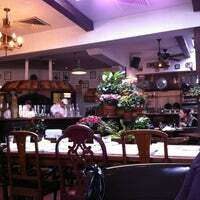 Comfortable atmosphere but, the food was mediocre. The pollo al pesto is served with salty potato wedges mixed together.It ruined the flavor of the pesto and the grilled chicken left a charcoal taste. 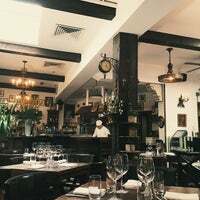 The food is great, the service is sometimes unfriendly, but the location, interior atmosphere, and location make this an impressive 24/7 restaurant. 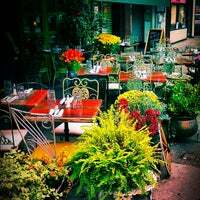 Romantic patio, delightful service & delicious beet salad/bruschette! Fresh clams for the win. Sit outside in the sun for fantastic people watching and beautiful flowers. Love this pop up style restaurant. Food is fantastic. Good service. The Nutella desert along with the amazing pizza! Everything on menu is delicious and the service is spectacular. Probably would have been a better experience if I came during the day since the west village setting is so beautiful. Try the spaghetti a la Carbonara with Salad Caprese!! Deliciousness!!!! 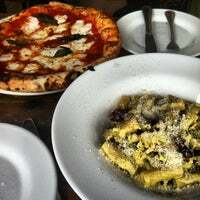 Although every dish was salty, it was good: 4Formaggi Pizza, Organic Chikn Breast, & Pasta. KILLER PIZZA! The diavalo is amazing! So is the Caesar salad. 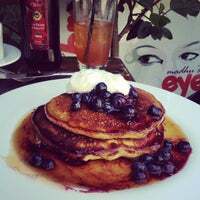 Bypass the eggs and go straight for the pancakes- perfection on a plate! Smooth music at night is fab--maybe some late night dance space since open 24-7? Best Margherita and Carbonara! Staff is attentive and professional. Doice is an awesome bartender he makes yummy drinks and the pizza is sooooo good!!! 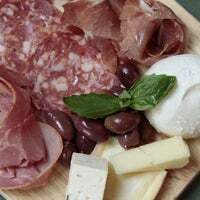 Authentic and delicious Italian food. MUST TRY THE CARBONARA! "Sheep's milk ricotta is out of this world. Grab a beer on tap and order anything-you can't go wrong. When its nice out try to get a seat in the courtyard." "Loved their summer dessert using frog hollow peaches! Pastas are cooked nicely as well, al dente." "Lovely for after-work quick dates. Sit in the park during warm months and enjoy the waterfall. 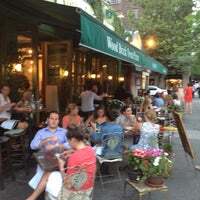 Brick oven pizza/restaurant right down the block and Rare restaurant too."